Imperforate, watermark 158 (posthorn), engraved. 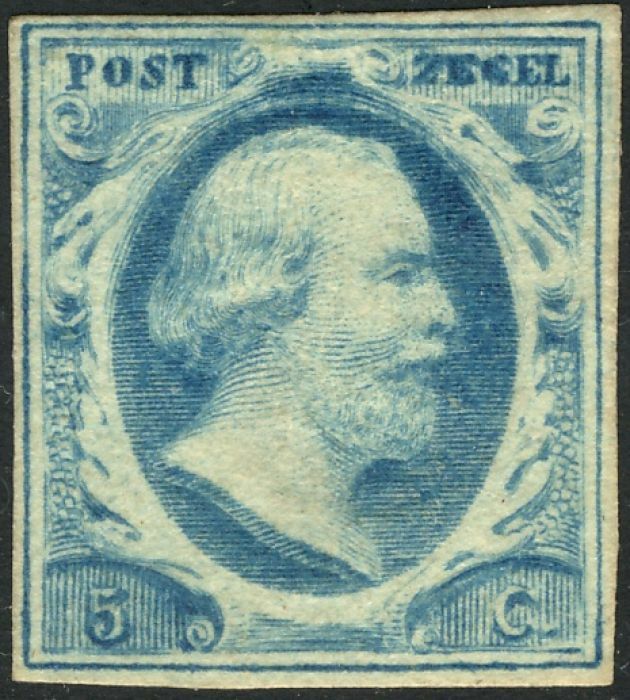 † While Scott's initial listing is restricted to the 1852 issue and three shades of the Sc1, Gibbons, rather excessively, lists all colour and plate variations from 1852 to 1863 together resulting in 12 sub-categories (a through l) for both the SG1 and SG2. There [was] plenty more detailed information at The first stamps of The Netherlands (dead link, site not found). 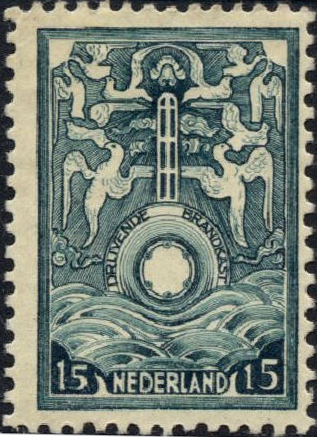 These (also, more prosaically referred to as Marine Insurance stamps) were issued by the Netherlands and Netherlands Indies, for mail shipped between the two countries. Mail with this additional stamp was carried in a special safe designed to float and be recovered if the ship sank. The service was introduced in 1921 and discontinued in 1923 through lack of interest.